1) Where do we meet? How do I find you? 2) What time do we need to be at the Pack Station? 3) What should I bring? Boots, shoes, hats, gloves, sun glasses, sunblock, jackets, sleeping bag..... what and why? 4) How much can I pack - any weight limitation? 5) I have limited/no riding experience. Will I be allowed to ride? How many hours do we ride each day? 6) What type of food can I expect? 7) Can I come alone? 8) Is there a limit on the size of the rider? 11) When will we get back into the Pack station on our return day? 12) Where can I leave my vehicle? 13) Where can I stay the night before our trip - and/or the night after we get back? 14) When is payment due to assure my reservation? 15) Can I bring my own horse? 16) Can I bring my own saddle? 17) What are the age restrictions? 19) Do you filter the water? 20) Should I tip the crew? 21) How can I get one of the Rock Creek Pack Station Sweatshirts?? Please review the description of the Horse Drives or mustang trips for those meeting times and places. For traveling pack trips departing from the Rock Creek Pack station, we meet at the upper corral. Click here for maps and how to find us. You should be at the pack station by 7am for traveling trips. You should bring a comfortable sleeping bag and pad, as well as clothing and personal medications. Here is a list of recommended items. 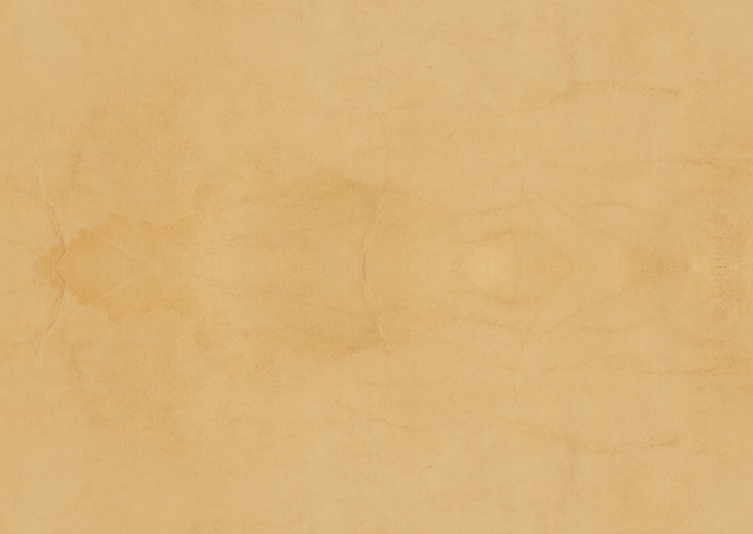 Riding experience is considered when you are assigned a mount. We have horses and mules to fit your level of expertise. All traveling pack trips move at a walk. Our crew will help you get comfortable before we leave the pack station. We ride as few as 2.5 hours to as many as 6.5 hours in a day on a traveling pack trip. Look at the trip itinerary for some ideas. Although you don't have to be an excellent rider to participate in the horse drive, some time in the saddle is beneficial. The pace is faster (lots of trotting) and there are a number of hours in the saddle. Please call us if you have additional questions. A crew member will prepare breakfast and dinner daily. A hot breakfast is prepared fresh, each morning. Fresh fruits, vegetables and salads are available at dinner each day. Each dinner has a different entre (beef, chicken, pork, etc) and vegetarian selections can be provided, if we are notified in advance. (If you have special dietary needs or restrictions, please let us know and we will make every effort to accommodate you). Lunch is a build-your-own affair, each morning. Sandwich makings, fruits, and snacks are available for you to create your own take-along meal. Many of our guests travel alone. The camaraderie of a camping adventure is the ideal environment to meet new friends. The rider's weight and height and general physical condition and riding ability will all contribute to the overall safety of the rider and his or her mount. Riders over 200 pounds or who are very heavy for their height need to be approved by the pack station before they may sign up for a trip. Riders cannot weigh over of 240 pounds. Minimum age is 6 years old. The pack station needs to approve all people who have physical characteristics and disabilities that may pose a safety risk for the participant. On our pack trips, showers are not provided. You may bring a solar shower, if desired. There is always a stream or lake nearby and we can provide you with a bucket to carry water. Don't use soap (even biodegradable) in streams or lakes. Wash yourself, clothes and dishes at least 200 feet from water sources. THERE IS NO GENERATOR ON OUR TRIPS -- NO ELECTRICAL SOURCE IS AVAILABLE. On our pack trips a latrine is dug near the campsite every afternoon. You can also dig a "cat hole" 4 to 6 inches deep and bury human waste in it by tamping the dirt/sod over the top after use. Be sure that the hole is at least 200 feet from water,campsites and trails. We try to return to the pack station before 4:30 on the last day. Sometimes it may be as late as 6pm. Parking is available at the pack station. Remember that the pack station is in an area frequented by bears. Be SURE that you do not leave any food, gum, candy, or scented cosmetics in your vehicle! We have a storage unit in which you can store small tems for the duration of your trip. Meals, lodging, and well-stocked general stores are available at Rock Creek Lodge (ph. 760-935-4170), Rock Creek Lake Resort (ph. 760-935-4311), and Tom's Place Resort (ph. 760-935-4239). Also, there are numerous Forest Service campgrounds in the canyon, as well as hotel/motel accommodations in Mamoth and Bishop. Cancellation and refund policy: deposit and final payments within 30 days of starting date are non-refundable. Refund of payment(except deposit) will be returned only if you fill spot on trip. No transfer of deposit or trip fee to following year for cancellations. We advise guests to purchase cancellation and trip travel insurance if you don't want to assume risk of losing payment due to illness or family emergency. All rates subject to a 2% outfitter-guide fee and an 8% fee to cover regulatory changes. Wilderness Permits are $5.00 per person. Guests may NOT bring their own horses, mules or dogs on any of the traveling pack trips. The rugged terrain and high elevations can be very taxing on animals not accustomed to the stress. Also, horses and mules are herd animals. Introducing a stranger into the group can cause problems. We welcome guests horses on the Mustang trips. You are encouraged to bring your own saddle. However, if your tack doesn't fit our stock, or we deem is unsafe, you will not be able to use it. The minimum age for children is 6 years. No guest is allowed to ride double. There is great fishing on many of our trips. You MUST have a valid California fishing license. Please be sure to bring a HARD case for your poles. Look here for fishing gear suggestions. Gratuities are optional and a personal choice. Any tips are generally split among the crew working on a particular trip. Usually tips are given on the last night of the trip - or when you arrive back at the pack station. A rule of thumb is 10% of the price of your trip to be split among the crew -- if you had a GREAT crew - tip more - if you weren't happy with the level of service your received - tip less or not at all. 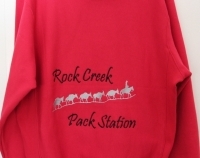 21) How can I get one of the Rock Creek Pack Station Sweatshirts??? You can order sweatshirts directly from the people that make them for us. The company is Carson Flag Store and their toll free number is 866-887-6677. (Located in Carson City, NV, their local number is 775-841-6227).